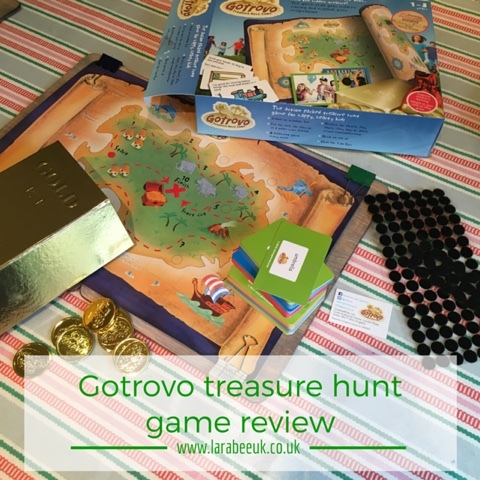 We were recently sent the Gotrovo treasure hunt game from the fabulous, local to us creaters. 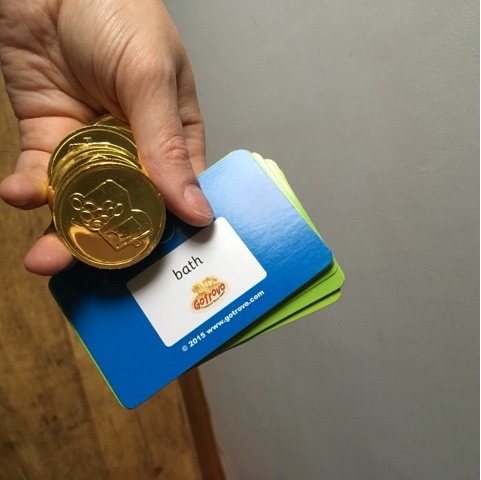 We have the mini version which we've used before for play dates so I was looking forward to reviewing the full board game version with T.
The game is based around a number of clue cards, ranging from pictures and words, riddles to role play. A versatile game aimed at children 3-8 and beyond.. Children can either play alone, against each other or in teams. Priced at £22.95 you can purchase direct from the Gotrovo site. 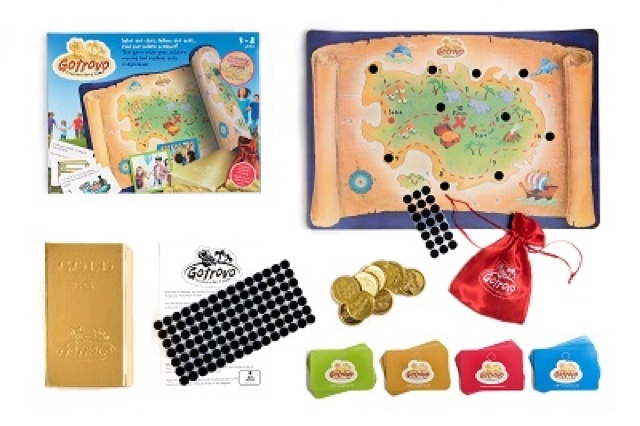 The game comes with everything you need, including cards, coins and the treasure map. 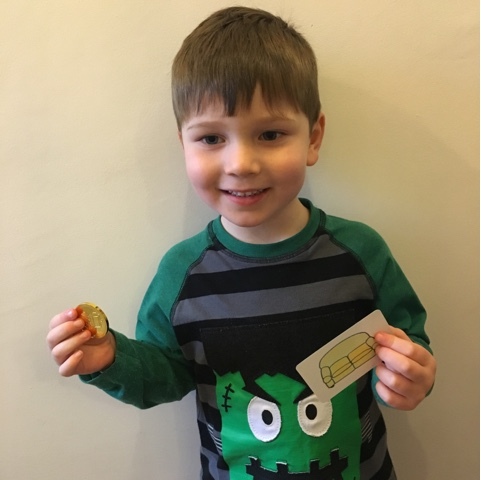 Being familiar with the mini game, T was super excited to try the full version and collect the coins as he followed the clues I left for him around the house. I know we'll get so much use out of this game which can be used at parties and play dates, on your own or with a group of friends, or indoors, outdoors and both! It really is what it says on the box 'the game that gets children moving and expands their imagination'. If you are looking for a family friendly game this Christmas you won't go wrong with Gotrovo!! Disclaimer: we were sent a copy of Gotrovo to try in exchange for our honest review.